Washington state and Puget Sound is known for its seafood; we take pride in our love of shellfish and are learning to support the indigenous communities that have deep cultural roots in these aquatic ecosystems. Shell fish farming generates over $270 million in economic activity that support 3,000 family wage jobs in rural areas throughout the region. Shellfish farms are found all along the West coast, Alaska, and Hawaii (Barton et al. 2015). These waters are rich in nutrients that can be filtered by organisms in muddy or rocky habitats including Manila clams, geoduck clams, mussels, and several species of oysters. (Barton et al. 2015). But as the chemistry of our ocean shifts due to intensive human activity, these waters are losing less ideal for shellfish. The cold upwelled water that brings nutrients to filter feeders also brings sequestered carbon dioxide absorbed from the atmosphere. 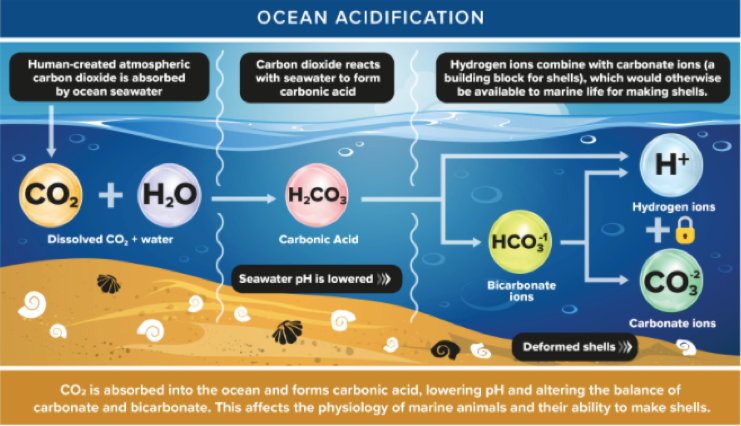 During these upwelling events, there is a temporary period of low pH and carbonate under-saturation (Clements and Chopin 2016), making it harder for shellfish to build their calcium carbonate shell. In an increasingly acidic ocean environment, these creatures can’t grow as big or as fast (Clements and Chopin 2016), making them more exposed to predators and less desirable for our palette. Within the past decade, the shellfish industry of Washington has witnessed population declines in oysters and clams that has the $184 million shellfish industry nervous (Le 2016). 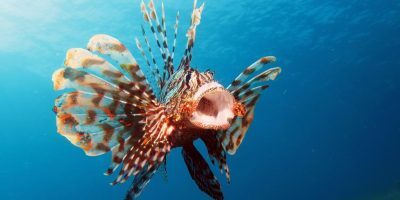 Wide reaching policy is needed to limit carbon emissions that will then reduce the rate of ocean acidification, but with little movement to more environmentally-friendly industry practices, some have starting looking to other innovative solutions. “It all about the seaweed”, or so Charlie Yarish would want you to believe. He is a professor of ecology and evolutionary biology at the University of Connecticut who is using seaweed to help save our shell building organisms. Seaweed, like terrestrial plants, removes carbon dioxide from the surrounding environment and takes up other nutrients of excess in coastal regions from runoff (Lemoult 2012). 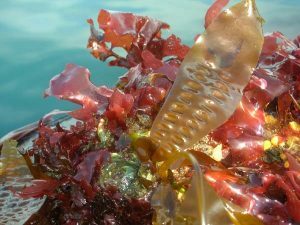 Seaweed can act as a buffer to naturally moderate local water chemistry. For shellfish, this could be a regional solution for fisheries, as shellfish are considered among the most vulnerable organisms in a more acidic ocean due to their reliance on a calcium carbonate (CaCO3) shell (Clements and Thierry 2016). By combining a shellfish farm with a seaweed farm, a fishery can naturally mitigate their production and increase value by selling both products. In doing so they have created an integrated multi-trophic aquaculture system that is gaining more traction in China, Indonesia, Canada, and the US east coast as aquaculture is the world’s most rapidly expanding food-producing sector (Loureiro 2015). Farming seaweed is not new, with over 23 million tons of macroalgae (dry weight) being produced in 2012 from aquaculture, generating over 6 billion US dollars (Godardo 2014). Much of the world’s seaweed is produced in large sea-based farms off the coasts of China, Indonesia, the Philippines, South Korea and Japan (Le 2016). 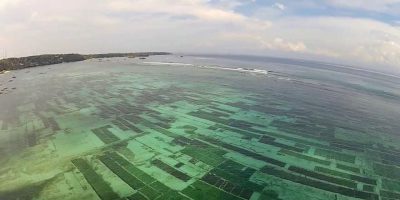 Most of the seaweed harvested is for human consumption but can also be used for fertilizer, fish feed, cosmetic and medical applications, and even biofuels. In the US there are a few small scale farms, with California’s seaweed market expanding and Maine having the highest grossing profit (Le 2016). In Washington, where oyster production accounts for 80% of total annual shellfish production (Barton et al. 2015) a group of researchers from the University of Washington are collaborating with NOAA to test seaweed’s effect on water chemistry. This five-year project is taking place in Hood Canal where sugar and bull kelp are being grown and carbon saturation values are being monitored. The project is backed by many organizations with the biggest grant support coming from the Paul G. Allen Family Foundation(Le 2016). In just the first 2 years of the study there has been a carbon saturation rate that was 25% higher than surrounding waters (Le 2016). 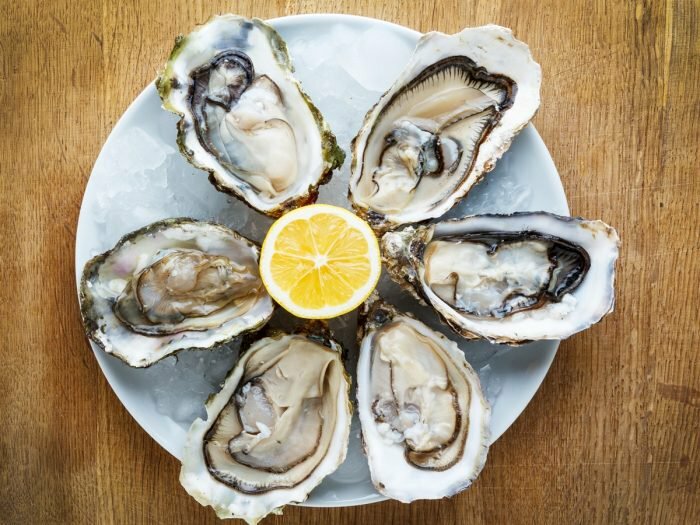 The changed environment and more accessible carbon in the water could have huge impacts on oyster farms by increasing yields and overall shellfish weight. The United Nations has broken down the process of starting a seaweed farm. 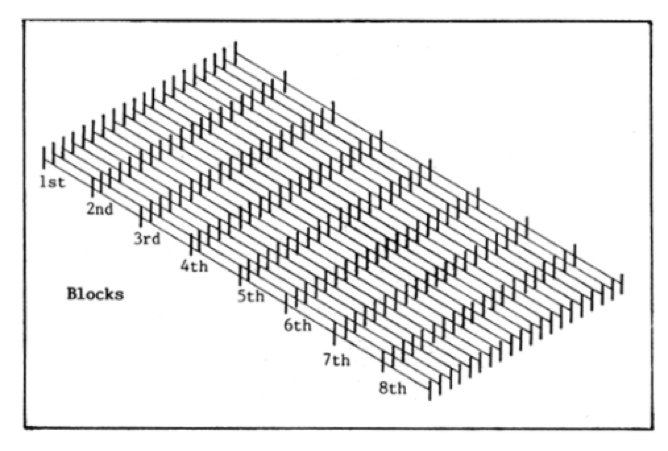 They recommend starting with a small scale set up of 10 lines that are supported by posts spaced equally apart with seed stocked kelp on the lines. You have to wait 8 weeks and let the seaweed grow naturally from nutrients in the seawater. After 8 weeks you can expand the operation to 40 lines (Godardo 2014) and continue the process of waiting 8 weeks and expanding until a comfortable production amount is reached. Once the seaweed is established in the fall, let the plants mature over the winter and harvest in the spring after they have grown 9 to 12 feet in length (Lemoult 2012). At harvest the lines are drawn in and the seaweed is collected. The seaweed can then be manually dried with machine air ventilation and turned every 48 hours, or if climate permits, it can be sun dried (Godardo 2014). Minimal effort and money is needed to start and harvest a small scale seaweed farm. This operation could be added onto a shellfish farm with little extra cost or labor, with potentially large rewards if shellfish composition and numbers improve. Maybe this means we will start seeing seaweed become a regular item on local restaurant menus and a return of reasonably priced, delicious shellfish – time will tell! Barton, Alan, et al. 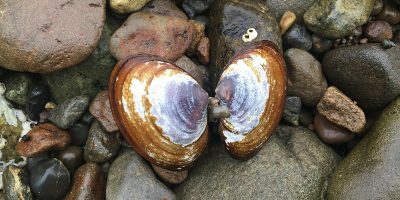 “Impacts of Coastal Acidification on the Pacific Northwest Shellfish Industry and Adaptation Strategies Implemented in Response.” The Oceanography Society , vol.28, no. 2, June 2015, pp. 146–159., doi: 01-03-2018 22:12 UTC. Cahill, Petra. “Red Tape Slows Bloom of Seaweed Farming’s Green Revolution.” NBC News , 30 July 2016. Clements, Jeff C., and Thierry Chopin. “Ocean acidification and marine aquaculture in North America: potential impacts and mitigation strategies.” Reviews in Aquaculture, vol. 9, no. 4, 25 Jan. 2016, pp. 326–341., doi:10.1111/raq.12140. Godardo, Juanich L. “Running a Seaweed Farm.” Food and Agriculture organization, Apr. 2014. United Nations. Le, Phoung. “Studies testing kelp to ease effects of ocean acidification.”, The Seattle Times, 3 July 2016. Accessed 26 Feb. 2018. Lemoult, Craig. “Kelp For Farmers: Seaweed Becomes A New Crop In America.”, WHSU: Public Radio, 12 Oct. 2012. Accessed 25 Feb. 2018. Loureiro, Rafael, et al. “Seaweed cultivation: potential and challenges of crop domestication at an unprecedented pace.” New Phytologist, vol. 206, no. 2, 15 Jan. 2015, pp. 489–492., doi:10.1111/nph.13278. 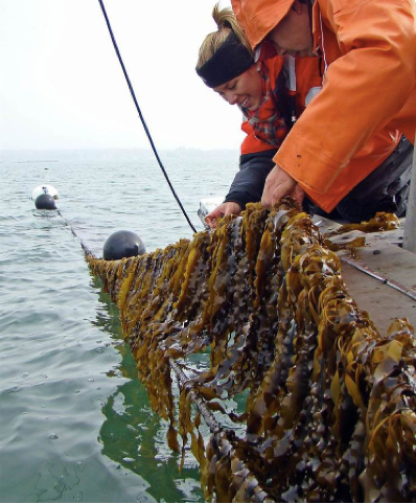 A new discovery by a UC Davis researcher should invigorate kelp growing. Used as a cattle feed supplement, kelp can reduce cattle methane emissions by up to 98%!!! https://www.ucdavis.edu/news/can-seaweed-cut-methane-emissions-dairy-farms. What is needed is for permitting to be simplified and kelp growing encouraged. Another factor to ocean acidification is the natural methane emissions from the ocean floor off the US Pacific Coast. The Nautilus project has identified 3000 natural methane seeps in the 25% of waters it has surveyed. That’s a 10-fold increase over what it knew about before their survey. https://www.nautiluslive.org/blog/2018/06/16/back-seeps-exploring-cascadia-margin.